25. 01. 2019 20:32 8 (33 - Evans Elfyn / Martin Scott): Probably a bit of a mistake on the tyres. We thought maybe we could make these work but we just had to be a bit too slow for the ice. 25. 01. 2019 16:31 7 (33 - Evans Elfyn / Martin Scott): We obviously had the right tyres, so that helps. I don't know where it leaves us in the loop, it was a tricky decision. 25. 01. 2019 15:06 6 (33 - Evans Elfyn / Martin Scott): We have slicks on the car. Let's see if we can make the time back on the next one. 25. 01. 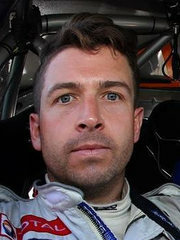 2019 13:20 5 (33 - Evans Elfyn / Martin Scott): It is not a perfect rhythm for sure, but the conditions aren't perfect. It is quite tricky out there. 24. 01. 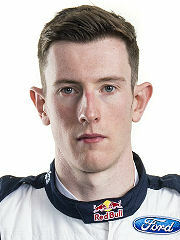 2019 21:16 2 (33 - Evans Elfyn / Martin Scott): It was okay, it was very, very difficult to judge how well or badly you are doing to be honest. The car has been working well, no big issues. 24. 01. 2019 20:37 1 (33 - Evans Elfyn / Martin Scott): For sure for us we could have gone a bit harder. There was a few places I was kicking myself a little bit, but in some places you couldn't stop and in others you could. But it's a clean start.